David & Chaz Entertainment is a Central Coast, CA event planning service that specializes in weddings, birthday parties, company parties, and dances. They also offer deejaying, photography, and officiation. 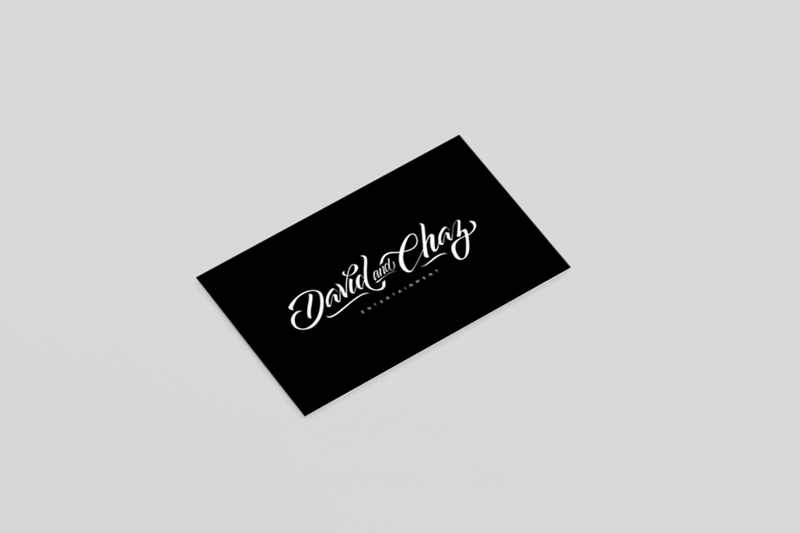 The David & Chaz identity is a hand-lettered wordmark logo, which means each letter is drawn by hand and hence entirely custom in quality. The logo boasts a florid and leisurely style, while exuding the qualities of rest and recreation.